If you would like to double confirm the order with us or has any questions, pls. 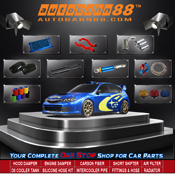 email us the transaction ID at cs@autobahn88-au.com More detail about the products, pls. visit autobahn88-au.com Type: Silicone ... Read more.. If you would like to double confirm the order with us or has any questions, pls. 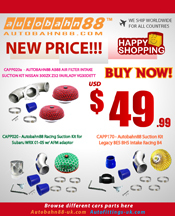 email us the transaction ID at cs@autobahn88-au.com More detail about the products, pls. visit autobahn88-au.com Type: Bi-turbo Boost Hose Color ... Read more.. If you would like to double confirm the order with us or has any questions, pls. email us the transaction ID at cs@autobahn88-au.com More detail about the products, pls. visit autobahn88-au.com Read more..